Led by D’Marcus Simonds’ 22 points and nine rebounds and Jordan Session’s 22 points and six rebounds, the Georgia State Panthers knocked off Louisiana (20-4, 10-1) 106-92, who is currently in first place in the Sun Belt Conference. With the win over the Ragin’ Cajuns, the Panthers are 19-6, and 10-2 in conference, good for second place in the Sun Belt. Since this was the only match of the season between the two teams, the Panthers would own a tie-breaker for first place should that circumstance arise. Georgia State is on a 10-game winning streak, the third-longest streak in program history. Hunter usually plays well into his bench, but he only played seven guys against Louisiana. Six of the seven guys that saw action scored in double-figures. With Simonds, Session, Devin Mitchell, Malik Benlevi, Jeff Thomas and Isaiah Thomas scoring in double figures, it was the first time since 2004 that has occurred. It’s also worth noting that the 106 points that the Panthers scored were the most in a game for the program since joining the Sun Belt Conference. 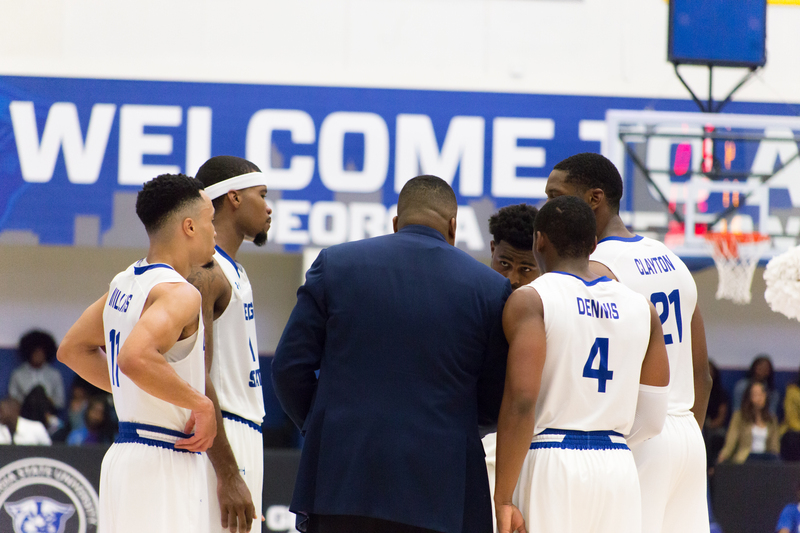 Georgia State will face Louisiana Monroe on Saturday inside the GSU Sports Arena at 2:15 p.m. ET. Hunter is looking forward to the Panther faithful to be there to support this team as only three home games remain on the schedule.